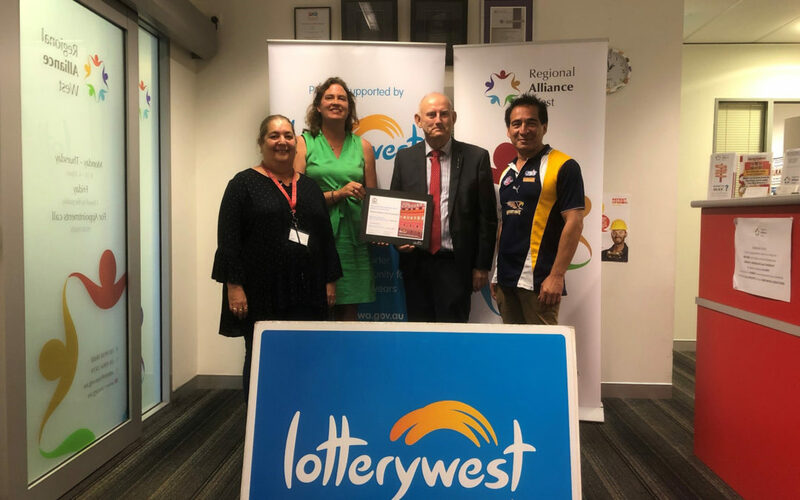 Mr Laurie Graham, MLC, presents a cheque from Lotterywest to Regional Alliance West’s Chairperson Sarah James-Wallace, Corporate Manager Leeanne Robertson and Operations Manager Chris Gabelish. Regional Alliance West thanks Lotterywest for their generous funding of $100,000 for our Emergency Relief Program. ER times are 9am to 11am Monday, Wednesday and Thursday. Ring 99380600 for an appointment as close to 8:30am as possible. We only have 12 appointments available for each of these days.